I grew up in Syracuse, NY and learned to love the outdoors as a youngster with my family and in the Boy Scouts. After graduating in 1990 from SUNY Geneseo with a BA in English, I soon entered the United States Marine Corps as an Infantry Officer. After serving in the military, I became a high school English teacher and taught for 15 years. Since 2006 I’ve has been leading trips on the Colorado Trail. I enjoy hiking, running, rock climbing and backcountry skiing; but really consider myself an avid soccer / volleyball dad and a lucky husband! Current certifications include Emergency Medical Technician and Outdoor Emergency Care certifications. 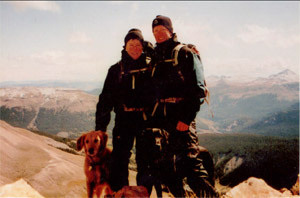 For over twenty-five years my experience has been in leading groups of people and managing risks in the backcountry. I am the youngest of seven children and was born and raised in NY. All of my summers were spent in the Catskill Mountains: exploring, hiking, fishing and swimming in our pond. I graduated from SUNY Geneseo with a B.A. in English and then from Lehigh University with a Master’s Degree in Elementary Education. Chris and I married in 1992 and subsequently moved to San Clemente, CA where I taught elementary school in Oceanside for seven years. Eventually, I became a mortgage broker and opened Arete Mortgage – where I spend most of my time when I’m not working with CME. We chose to move to Colorado for the open space, big mountains, blue bird skies, and the great outdoors. Things that make me smile: my husband, our girls, our dogs, yoga, hiking, rafting, running, music, cooking, relaxing in the hot tub, a vodka and tonic… I can go on and on. I have lived my entire life in Southwest Colorado, and have been climbing mountains since I could walk! I'm a retired science teacher, and live with my wife in the La Plata mountains in a home that we built ourselves. I’m currently attempting to climb all 700 of the 13,000 foot peaks in the state. My small but remarkably strong dog Ranger has been on 100 peaks with me this year. It sure is nice living in this corner of mountain heaven! I was, for the most part, raised in Grand Junction, Colorado. Prior to that I lived in an RV that went all over the United States. And in my earliest days, I lived on the other side of the world, where I was born on a Pacific island. But when people ask me where I’m from, I usually just tell them Colorado. Currently, I live in Missoula, Montana and attend University of Montana, pursuing a degree in parks, tourism, and recreation management. My list of things I enjoy doing goes like this – hiking, rafting, playing soccer, frisbee, backpacking, fishing, PBR, mountain biking, camp fires, camping, my sleeping bag, and so forth. I love working on the Colorado Trail! I am thoroughly enjoying retirement from an engineering career with General Motors and Ernst & Young by backpacking, guiding, mountain biking, and sailing. Living in southern California, I lead a women’s mountain bike group “Trail Angels”, a co-ed mountain bike club “WOGs”, and a women’s hiking group. I have guided with CME for the last 2 years (multiple sections) and was a guest before that. My husband Brian and I have 2 children: Nolan, age 24, a Civil Engineer and Erin, a Junior at UC San Diego, in Applied Mathematics. 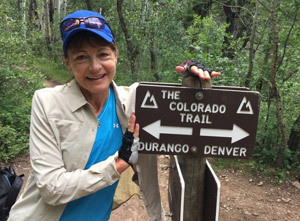 I look forward to enjoying the beauty and charm of the Colorado Trail with you! "Magoo", as he is affectionately known, was born and raised in Southern Connecticut and has lived his adult life adventuring and exploring a majority of the U.S. and various regions of the world. He certainly believes the world is his oyster, but prefers it his way: smothered in hot sauce. His first Colorado Trail experience was during his 2016 thru-hike. 486 miles of smiles, laughter, and glory later and he was hooked on long distance hiking and the beauty that the Colorado high country offers! 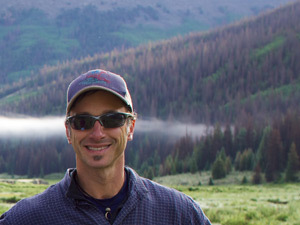 Currently hopping back and forth between the Rocky mountains and Sierra foothills of California, he enjoys riding motorcycles, working with his hands, cooking, and of course the great outdoors! Maeve is decently convinced that fairies exist. She loves the woods and the river, anywhere that she can feel the silence and birdsong of a place. 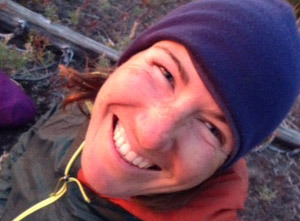 Maeve gets to canoe and ski, hike, laugh and dance regularly, for which she is deeply grateful. She lives on the continental divide with her sweetie. 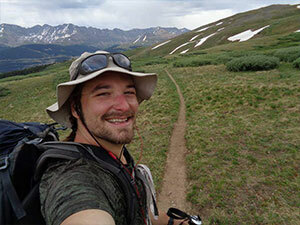 Evan loves to laugh and hike and mountain bike; canoe, ski, and make art of all kinds. He grew up in Western North Carolina where he could be found in the woods, earnestly pretending to be Davy Crockett. He feels fortunate to call the mountains of Colorado home. Benny grew up in Texas but now he calls Colorado home. 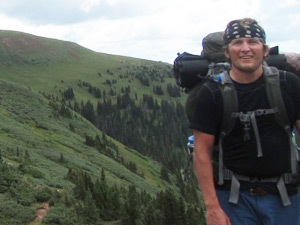 He fell in love with the outdoors at young age taking family vacation trips to Colorado hiking with his dad in Rocky Mountain National Park and in the beautiful San Juan Mountains. 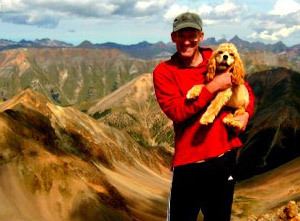 His love for the outdoors has taken him all over the Pacific Northwest and Canada climbing and hiking. 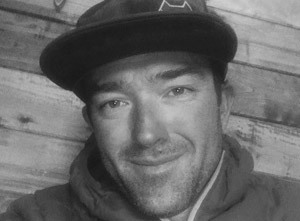 Highlights of his work experience include backpacking trips taking folks throughout the San Juan Mountains, on Colorado Trail, and guiding glacier hikes and kayaking in the Wrangell-Saint Elias National Park in Alaska. In the winter, he stays busy ski instructing on Wolfcreek pass. When he does have some down time he can be found traveling in his 84 VW van all over Colorado, abroad and out west exploring new places! 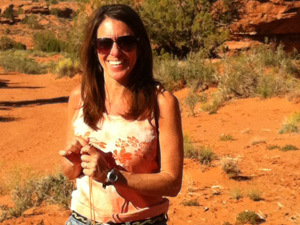 Candace is an EMT turned Geologist-in-training based out of Denver and loves to be outside! You are likely to find her smiling endlessly while Mountain Biking the West’s endless and incredible singletrack or hiking and backpacking around ridiculously gorgeous places. But all of that summer fun is merely to prepare her for her favorite season: Winter. When Candace is not busy Snowboard Instructing in Summit County she spends her days slaying powder fields of glory and her nights watching the radar for when there will be more pow! 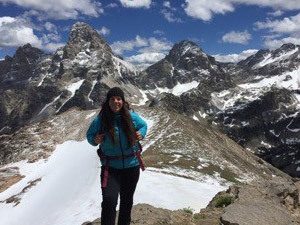 She loves guiding on the Colorado Trail because of the awesome people she meets and the opportunity to show off some of Colorado’s most beautiful places. Be sure to ask her about Colorado’s unique Geology and show her any cool rocks you find! After we retired from our "real jobs" as an equine veterinarian (Jodie) and a physical therapist (Dave), we now spend as much time as possible in the mountains and deserts of the Four Corners area. We have adopted and maintain the “Cataract Ridge” segment of the Colorado Trail, and also build trails for the non-profit group “Trails 2000” in Durango. Besides guiding for CME since 2004, we work a variety of outside jobs such as sleigh-driving, woodworking, and “anything really, as long as it’s fun!” Additionally, we are the unofficial seamstress and knife sharpener for the Treks. Whether hiking, backpacking, mountain biking, skiing or maintaining trails, Jodie and Dave can usually be found in the remote reaches of the Rocky Mountains or the deserts of the Southwest. I started out with degrees in wildlife biology and environmental engineering. After my formal education finished, I guided backpacking trips and spent a year as county naturalist in Michigan. After that, I put my education to use and made my family happy by spending eighteen years in the paper industry as an engineer and manager. Finally, enough was enough of industry life. My wife Joanna and I quit our careers and spent almost two years traveling North America, living in a tent and learning the land. We eventually grew roots in Durango and Telluride, Colorado, which is where we’ve lived for over twenty years. Since then, I’ve been working at Telluride Ski resort as a staff trainer/instructor, running horse-packing trips into the wilderness, and of course guiding on the CT. I also own my own small business in Durango during the summer months. I hail from the paved concrete jungles of the great state of New Jersey, which is where I became an Eagle Scout and developed a passion for anything outside. After double- majoring in History and Skiing at Saint Michael's College, Burlington, Vermont I made a westward migration to Durango, where he has thrived since 2011. I’m currently enjoying guiding the trail, working in the outdoor industry, cooking, bartending and generally enjoying the Durango life! 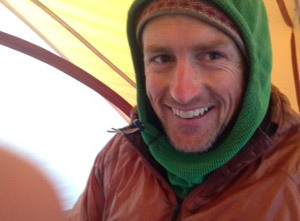 There will not be a trek that we do where we won’t hold our hearts up to the loss of a good friend and guide, Colin Sutton. May you rest in peace. 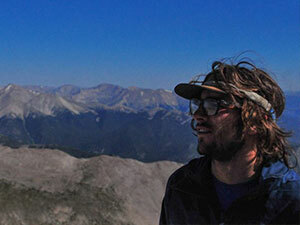 Colorado Mountain Expeditions (CME) is a permitted guide service that offers supported hiking on the Colorado Trail. They must file an operating plan and annual itinerary with the Forest Service offices. CME has authorized United States Forest Service permits to operate in the San Juan and Rio Grande National Forests as well as the Weminuche Wilderness. The Colorado Trail Foundation is also permitted by the US Forest Service to operate supported trekking programs on the entire length of the Colorado Trail between Denver and Durango, CO that covers seven National Forests. 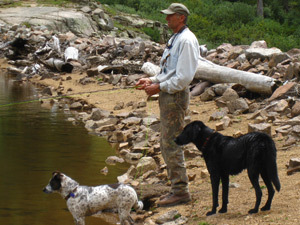 We have many written testimonials from past customers who have been very happy with their Colorado hiking vacation. If you would like us to send you a copy of these testimonials we would be happy to do so. Our headquarters is located in Durango, Co., which is a small town of 18,000 people. Word of mouth is our best advertising. If we were doing a bad job, we would get run out of town. Operating under Tonto, Rio Grande & San Juan National Forest Permits. CME is an equal opportunity service provider and employer.